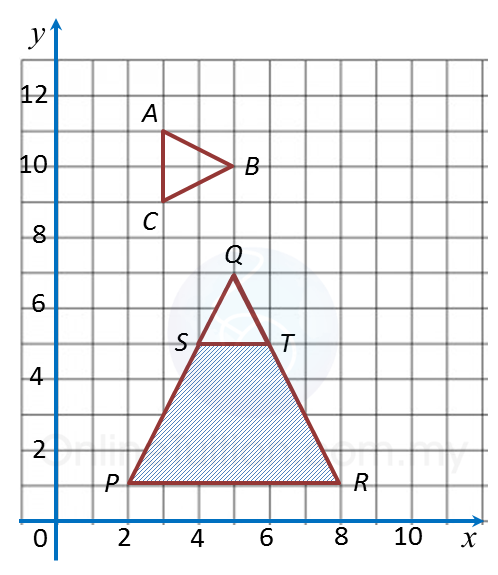 The diagram below shows the triangles ABC,SQT and PQR. Transformation P is a reflection in the straight line y = 7. 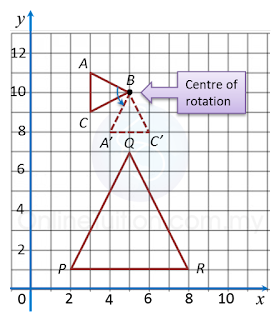 (i) PQR is the image of triangle ABC under the combined transformations MN. 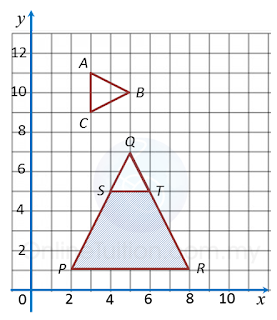 Describe in full, the transformation N and the transformation M.
(ii) Given that the area of the shaded region PSTR is 200 m2, calculate the area of the triangle SQT. (i) A(3, 11) → T → A’(8, 9). 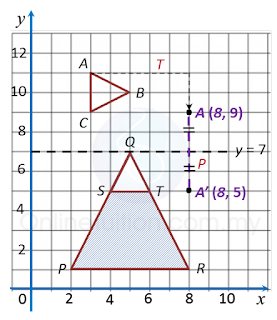 (ii) A(3, 11) → T → A’(8, 9) → P→ A”(8, 5). N = Anticlockwise rotation of 90o about the point B(5, 10). 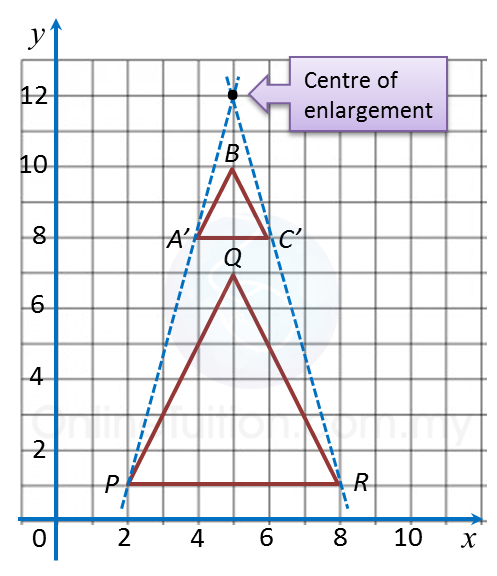 M= Enlargement with centre (5, 12) and a scale factor of 3.